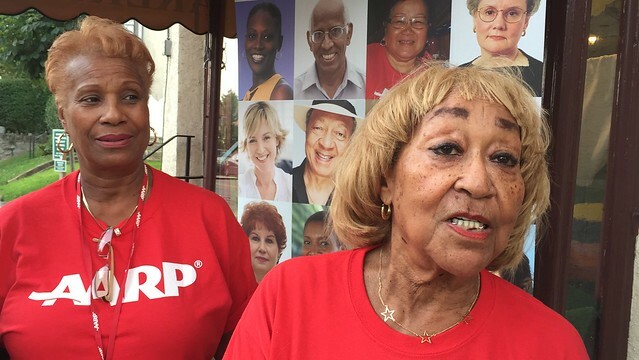 ​Shirley Washington, Florrie Flood and Jocelyn Powell, volunteers for AARP, formerly known as the American Association of Retired Persons, were outside Bredenbeck's Bakery and Ice Cream Parlor in Chestnut Hill, Philadelphia to rally support against changes to Medicare. Backed by a large sign featuring the diverse faces of its constituency (50 plus demographic), one volunteer explained their presence as a way to acquaint the community with AARP while another spoke earnestly about how prescription drug costs, higher premiums and higher deductibles negatively affect Social Security pensioners. "Health care is just outrageous." They invited your correspondent inside to sign a petition to my Congressmen and enjoy a free ice cream cone! I obliged. Watch video interview here. ​Weighing in a hefty 12 pounds at birth Darren Fenice's right shoulder was damaged by forceps during delivery. Erb's palsy resulted from the injury that stunted his arm and significantly impairs his range of motion. In school, he lashed out at the kids who were tormenting him him and was once expelled. 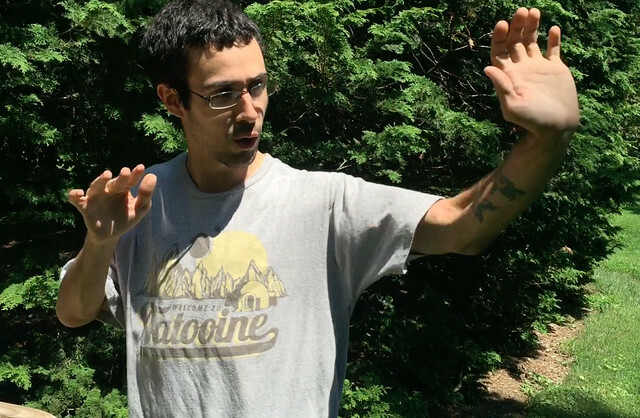 When he grew up he began to practice martial arts as a means of self-defense, focusing on American Kenpo. A back injury sustained in competition has now sidelined him. Based on his experience being picked on growing up, he remains a strong advocate against any form of bullying. He is currently pursuing a career in science education and he pursues another of his passions - cooking dishes from his Austro-Italian heritage. Watch video interview here.